Wantagh HS will be having a time trial Thursday 9/8 Bethpage. If anyone is interested in participating with us, please call or text me at 516-426-6970. Good luck to everyone this season! 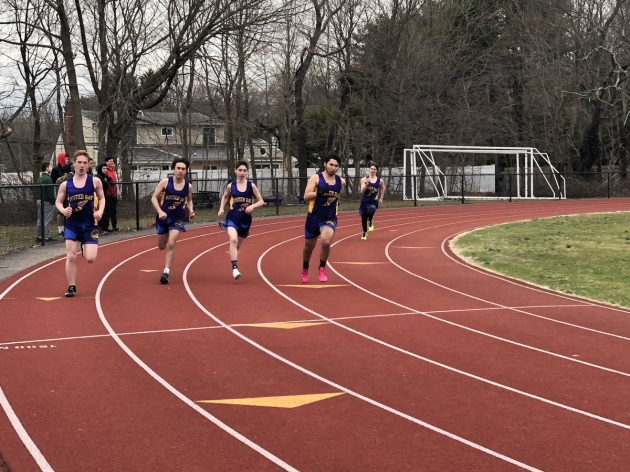 This Sunday (4/14) there is a Long Island Track & Field Meet at JFK Bellmore High School. We are looking for athletes to help out at the meet. Athletes can show up at 12:30 to help. Community Service hours will be given out. Please contact:Bellpaltrack@aol.com for more information. Thank you in advance! @OBENSchools boys track today. What a great group of competitors & teammates. Great support for each other! You are already entered in the sweepstakes and have received an entry for today. You have already been credited with an entry for today. Show all team performances from all meets in a single grid. Block this user from this team. Block this user from teammates. This post has been set to "Teammates Only" by the person who originally posted it. Only the original poster can share it with other teams. Trackconference.com can now highlight members of your favorite team when you view rankings or meet results. Select a team from the menu below to continue.